Select your session from the descriptions below by clicking on the course number, and then register using the Chesterfield County Parks and Recreation website REGI system. You can see all courses listed on their webpage here. Please read over the Course handbook here and fill out the Risk and Application Forms: *Bring completed forms to class on the first morning and turn in to your instructor! This class is designed for students who have completed the Basic Adult Class at GRSA within the last year. 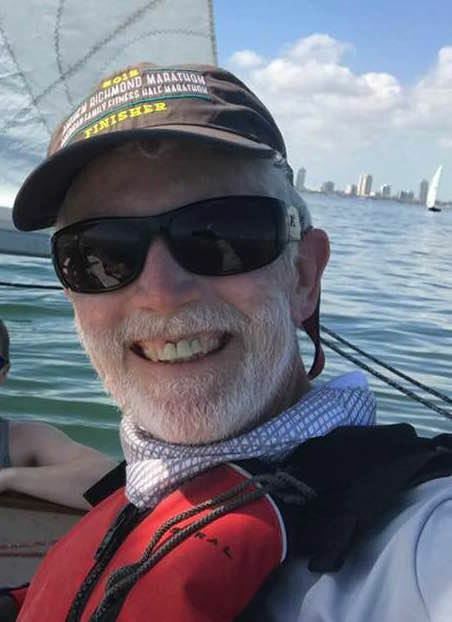 The class will continue to develop sailing skills focusing on more advanced sailing theories, sail trim/controls, and building confidence on the tiller. The course will continue to be taught on our fleet of Flying Scots and will again be limited to 12 students. Cost is $175. Sailing Stats: Sailing since the early 70's. Racing Thistles long enough that I should be better at it. Want to see our classes in action? Check out photos from our previous classes here!